It was meant as a romantic gesture — placing some chocolates in a classmate’s locker — but for new student Hui-min Lee, it turns into a living nightmare as the shutters slam down at Yeondoo High School, trapping him and other students inside. Spirits roam the corridors and a possessed janitor is out for their blood. Can you survive the night and discover hidden secrets to shed light on the building’s dark past? Your choices will lead you to nine different endings. White Day: A Labyrinth Named School was released in Korea for PC in 2001 and quickly became a cult classic. PQube is now bringing the PlayStation 4 version of the remake to North America and Europe in August 2017, and this new version will also come to Steam. It is said to have been redesigned completely for PS4 and PC and to have received major story upgrades and mechanical overhauls by developer ROI Games. What is not clear is whether this is a ‘new’ remake, or basically the same as the mobile version released under the title "The School: White Day" on mobile platforms internationally. We do hope this truly is the masterpiece of scariness, as claimed. There will be intense stealthing as you try to hide from the killer janitor; you have to race against the clock to keep your friends alive; a “dynamic scare system” dishes out more terror with increased frequency for those playing on higher difficulty; there are also strong puzzle as well as relationship sim elements. It does sound like a well-rounded game, and for those brave souls facing the horror, PS4 trophies and Steam Achievements beckon. Idea Factory has posted up the opening movie from its upcoming PlayStation 4 JRPG, Dark Rose Valkyrie, and it is one impressive game that will be out very soon indeed; we’ve only got about a month to wait before we’ll be getting stuck right into it. Featuring the writing talents of the scenario writer and character designer behind the Tales series (Takumi Miyajima and Kosuki Fujishima), this game is shaping up to be similar in some ways to the excellent Lost Dimension on the PlayStation 3. In the game, someone in your group of heroes is a traitor, and you’ll need to figure out who that is before it’s too late. To do so, you’ll need to regularly interrogate your teammates in order to figure out who’s lying about topics, and, ultimately, who’s working to betray you. It promises to be an intriguing system, to say the least, and something very different for Idea Factory. We’re really looking forward to getting our hands on this one on June 9 (June 6 for Americans). Games are one of my favourite vessels for difficult subjects. Reality isn't terribly pleasant, but touchy subjects are somehow better digested in video game form. That does not mean games can't hit us right in the heart, however; and that is exactly what I expect to feel while playing the upcoming Bury Me, My Love. In Arabic, the term is a common expression meaning "take care" or "don't even think about dying before I do." 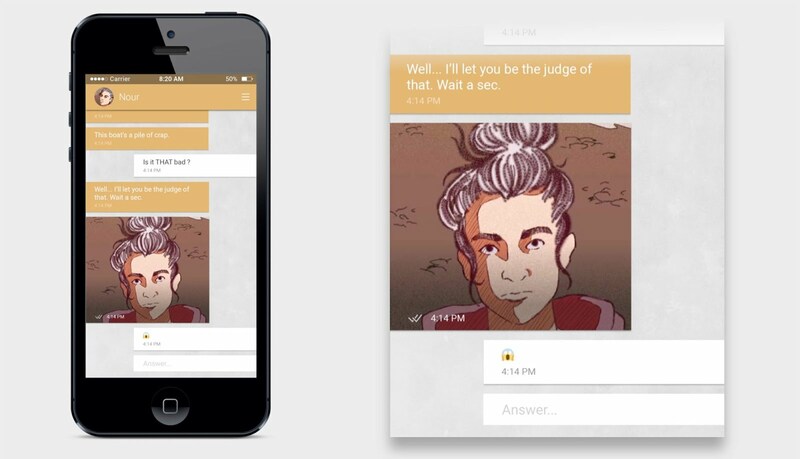 The text-message-based game is about Majd, a man who has stayed in Syria while his wife Nour escapes to Europe seeking refuge. The game's website promises that the player's choices will actually have impact on the story, and for once I am inclined the believe the developers. The reason for this, the website states, is, "a very efficient way to render the complex situation migrants are in, and the [weight] their choices often have." Nour's journey could take days or it could take months. She may complain about closed borders or have to choose between believing her belief or the rumours spreading like wildfire, and Majd will advise his wife the best he can — or, the player will. Bury Me, My Love was inspired by a news story about a young woman who fled her native Syria for Germany; that woman and the journalist are part of the dev team, but the story is entirely fictional. Despite the fiction, the game is also very much based in the harsh realities of today. Expect it to launch on iOS and Android during the coming months, hopefully in June.The game reminds me very much of A Normal Lost Phone, which involves solving the mystery of who's lost phone you’ve picked up and includes some heavy contemporary material. Aksys, I would personally like to say: thank you, Thank You, THANK YOU! This news is most welcome for those of us currently trying to pry our DualShock controllers from our unbendable fingers after a Nonary Games marathon on PlayStation 4 — or perhaps most unwelcome, depending on the pain you're currently in. 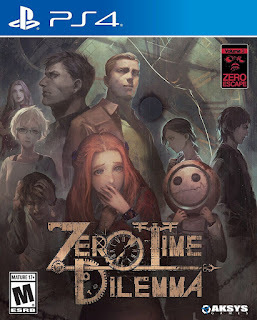 Regardless, we'll all be happy come this autum as Zero Time Dilemma hits the PlayStation 4, completing the Zero Escape series' availability on the home console. The first two games in the Zero Escape series — 999: Nine hours, Nine Persons, Nine Doors and Virtue's Last Reward — were released together for PlayStation 4 earlier this year under the title The Nonary Games. In the conclusion to Kotaro Uchikoshi's trilogy, how much of humanity to sacrifice for freedom will be your choice. Impossible decisions are forced upon you, and with those decisions some unimaginable consequences. I can promise you'll want to play again and again to experience all the paths and endings possible. The entire Zero Escape series is currently available on PC, PS Vita, and 3DS. 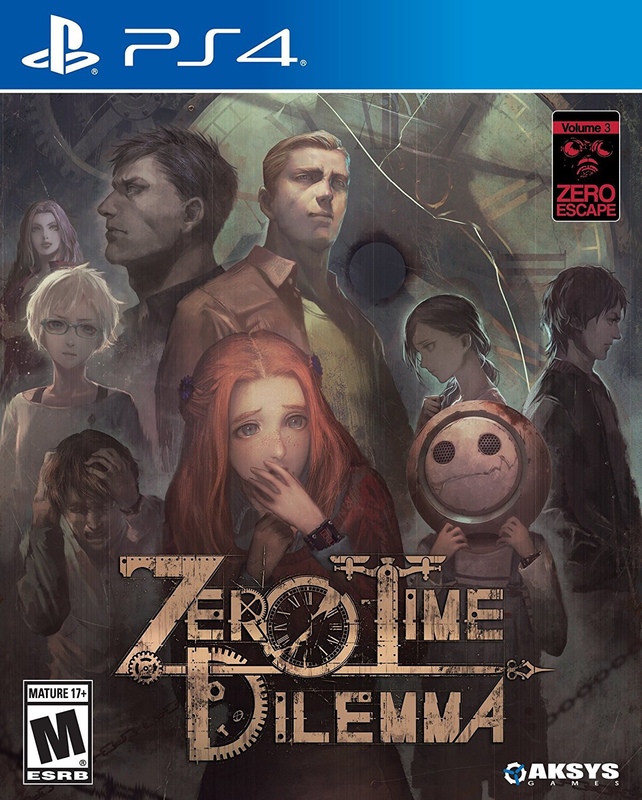 Amazon lists Zero Time Dilemma's PS4 release date as August 18 in North America. The game, a full HD remaster with English and Japanese voiceover options, will be receiving both a physical and a digital release.